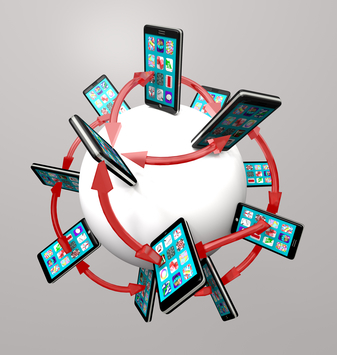 Sooner or later most of Internet traffic will come from mobile devices like tablets, android phones and smartphones. This can only mean that soon there will be a tremendous shift from using traditional searches to local or geographically-specific searches. If you currently own a small business, you need to find a way to take advantage of this shift. You also need to keep in mind the following if you want to make sure that you won’t get left behind. What is mobile SEO and why it is important to any business? Searching for anything you need can easily be done online. From the best pork barbeque marinade to the nearest pizza shop in your neighborhood, you can easily look for this when you use the web. When was the last time you used the web to search for anything? Do you still remember the result of your search? How were you able to find what you are looking for? Did you use your PC or your mobile gadget? If you used your tablet or smartphone to look for what you need then you are just like 61% of mobile consumers who used local searches with the use of their mobile device. To note that this number was a result of a study done in 2012; makes you wonder what this number will be after a year or two? This will surely increase as gadgets become more and more popular in accessing the web online. It is easy to conclude that there will be more mobile shopping activities in the coming years, which would mean that a small business owner should start working now on their local mobile marketing as part of their overall marketing plan and strategy. Nearly half of the people in the United States that are using mobile devices currently have the capability to search the web; this means that if you do not have a mobile marketing plan, you could be losing business to your competitors who have already implemented a local mobile marketing plan. Getting to know your target market also helps you determine if your market uses mobile marketing. And if your customers actually do, then now is the time to get started. Will mobile marketing and local marketing always go together? Definitely! There is nothing better than to optimize a campaign using mobile marketing since it always combines with local searches. Your website should not just be ready for mobile marketing but also for local searches. If you do not do this you will miss out on the 61% of mobile users who are into local searches. And if you think that this number is not a very convincing figure then check these out: 61% of the 41% total US mobile phone subscribers will translate to about 60 million smartphone and mobile device users that can make local searches. If you view it this way, there are a lot of searches. Create a social local profile – local social business profiles is a good place to start your local mobile marketing. Your business should be found in local and regional directories – if your business already shows up on local or regional business directories then it will be easier to optimize for geo-specific searches. Aside from directory sites, you may also opt to be added to local organizations where you are affiliated and articles in the local news or local press releases. Your business is easily found using a local address and contact information- you are ready to start mobile marketing when a simple search using your address yields your site or a directory site with a map leading to your page. This simple key opportunity will help improve your local SEO campaigns. A positive result using a local competitive search- do a simple search using Google or your preferred web browser and see how far are you in achieving your goal. You will also find out what strategies your competition is using as well.